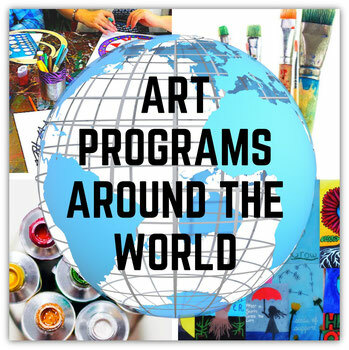 Welcome to an online portal for artists and therapists to share their art programs, classes, and creative initiatives with others around the world. I would like to further your efforts and exposure through my Pinterest, Twitter and FB Page. 1. Australia - Dr. Julie Gross McAdam and the MAC.ART program celebrates the prospect of new and creative directions in aged care, dementia specific programming and community participation into the future. 2. United States - Victoria Van Zandt leads monthly Women and Creativity Workshops for women of all ages to explore and nurture their creative and artistic sides and to gain deeper insight into themselves in Los Angeles, California. 3. Canada - Dr. Dalia Gottlieb-Tanaka developed the Creative Expression Activities Program for seniors with dementia. She presently facilitates her "At This Age" art program in Vernon, BC, Canada. 4. Canada - Dee MacGibbon - owns The Brown Bag Studio in Kelowna, BC, Canada. Her studio serves all ages from 6 to 96. Dee is an advocate of intergenerational art programs and activities. 5. Canada and United States - Diane Moran - As an artist and art educator Diane facilitates Artful Awareness projects and initiatives for kids who have suffered from natural disasters in Canada and the USA. 6. United States - Jeanne Kukuruza - is the facilitator and creator of the art group Elderfriends. A weekly two hour group at a local nursing home in North Conway, New Hampshire. 7. United States - Elaine Luther - is an art teacher who teaches in a healthcare support center, where she teaches both patients and caregivers, and at libraries and art centers. 8. United States - Jennifer MacIsaac - creator of the Basement Community Art Studio designs expressive art programs for babies and kids. 9. United States - Yvette McCue Lyons opened her own studio in North County San Diego called the Live Your Art Studio where she offers professional certification training in Expressive Arts Therapy, Sandtray Therapy and MARI Mandala Therapy. 10. Sweden - Ingela Johansson teaches creativity and mindfulness. Her art program is based in Karlstad, Sweden and online. 11. Scotland - Kassi Martin provides Expressive Arts for everyone however, the majority who attend and sign up online are Caring Professionals.